Forced Empathy, questions the ineluctable relationship between recording and reproduction, by addressing the fundamental constraints of visual documentation. 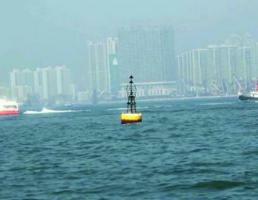 In the video, an algorithm is used to freeze an orientation buoy in the center of the frame. The information gathered by the analyses of the buoy’s motion is acquired by the background which “stabilizes” the position of the swaying object - an exercise on the formal and technical implications of time based documentation. This translation, in which the behavior of the medium is guided by the behavior of the central object, explores the notions of “input” and “output”, emphasizing the documentation medium itself, and the way it processes information.